Digital marketing offers more free-to-cheap opportunities than traditional marketing. Real estate agents can develop a presence online that will boost their business for relatively little cost. Many agents I meet don’t have a large budget for marketing (traditional or online). A lot are either new agents, or not as successful as they would like to be — yet. Building profile and business pages on Facebook, Instagram, Twitter, LinkedIn and Snapchat is free. And while you may not be an avid user of each network, you can start to spread the identity of your agency by creating pages and posting from time-to-time. There are even free tools that will allow you to post to several accounts from one platform. For instance, with Buffer’s free version, you can schedule posts to Facebook, LinkedIn, Twitter, Google Plus and Instagram from the same account using a single login. With Hootsuite’s free version, you can schedule posts to up to three social media networks. The paid versions of these publishing tools will typically give you more functionality and allow you to post to more social platforms. From a marketing perspective, most of these social profiles won’t do you much good unless you have a healthy following. You can pay to build an audience for these pages, but you really don’t have to. One way to gain followers is to simply follow someone or like their page. In many cases, people will reciprocate. In real estate, local search is crucial. 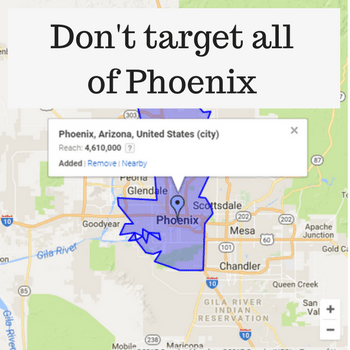 Your company can show up for local search queries organically in several ways. The first is called Google’s Local Pack, aka the three companies that show up under the top ad section, and is accompanied by a map showing your location and phone number. Google Maps is another option. Both the Google Local Pack and Google Maps use data from your Google My Business page. If you don’t currently have a Google My Business page, then you should build one ASAP. Follow this link to get started. In addition to a Google My Business page, you’ll want to create a Bing Places page. Having an ad footprint on search, display or social networks doesn’t have to cost you a ton of money. 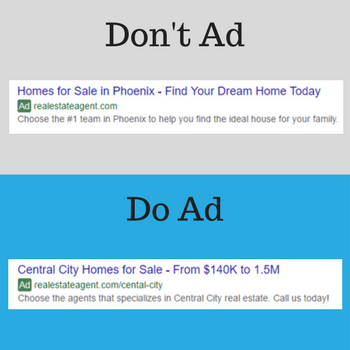 Search ads show up when you type “homes for sale in Prescott, AZ,” into Google; display ads show up on the websites you’re surfing; and social ads are the ones you see on social networks. This is commonly referred to as pay-per-click advertising. 1. 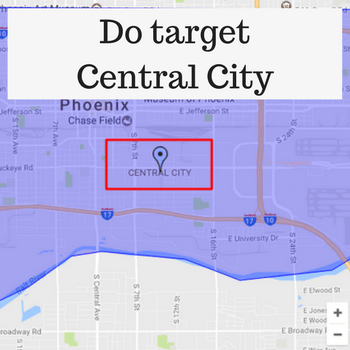 Target a hyperlocal area, and make the ad copy specific to the area you’re targeting. 2. Set up a retargeting campaign. Retargeting campaigns show ads to people who have already been to your website or social media page, and the cost-per-click is very low. I’m a firm believer that increasing your digital footprint is important to successfully market your business online and generate more leads. Taking these simple and cheap steps can help you start to increase the footprint of your company and gain the exposure you need to succeed. Michael Johnson is the founder of Crown Listings. You can follow him on Twitteror Linkedin.